The futuristic spectacle of Yas island is the backdrop for the Abu Dhabi Grand Prix and what was the first dusk race in F1. Stylish, head-turning, or just plain garish – Yas Island is some kind of cross between Monaco and Disneyland on acid. There’s plenty to keep you entertained at this 1.3bn dollar venue, Grand Prix or not. And for many fans it’s not always about watching what’s happening on the track that they relish and return for year on year, but the many and varied distractions away from the track; concerts, parties, shopping, restaurants, the beach, and of course guaranteed sunshine. But Abu Dhabi has the great circuit views to match all this, the venue being designed from the ground up with the track-side spectator in mind. Abu Dhabi has certainly earned its place as a hot destination for F1 fans and one that offers something a little different to other venues. The downside? 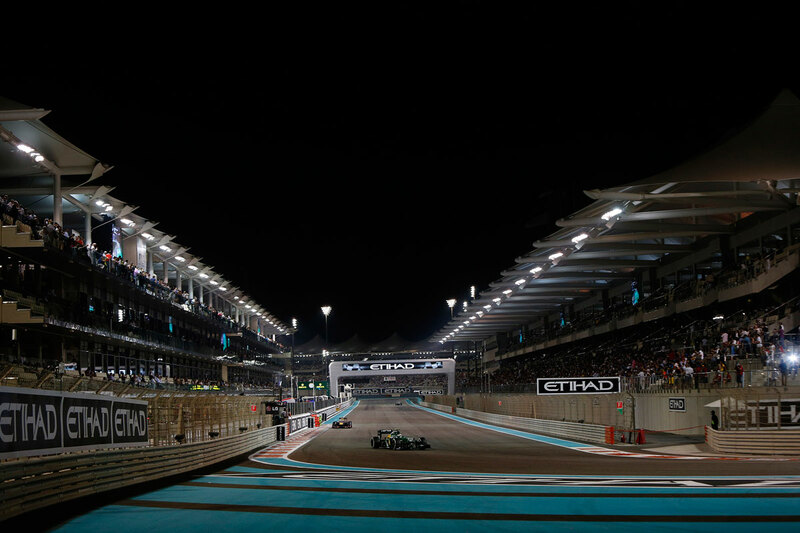 Typically the tickets are some of the most expensive F1 tickets out there, but fans can at least plan a trip to the Abu Dhabi Grand Prix, confident that they are sure of a good time. Be aware that taxis are notoriously hard to get, especially after the Grand Prix, so plan accordingly. There aren’t that many grandstands at Yas Marina, but the ones that there are, are massive. Have a walk around and explore views from different parts of your grandstand. 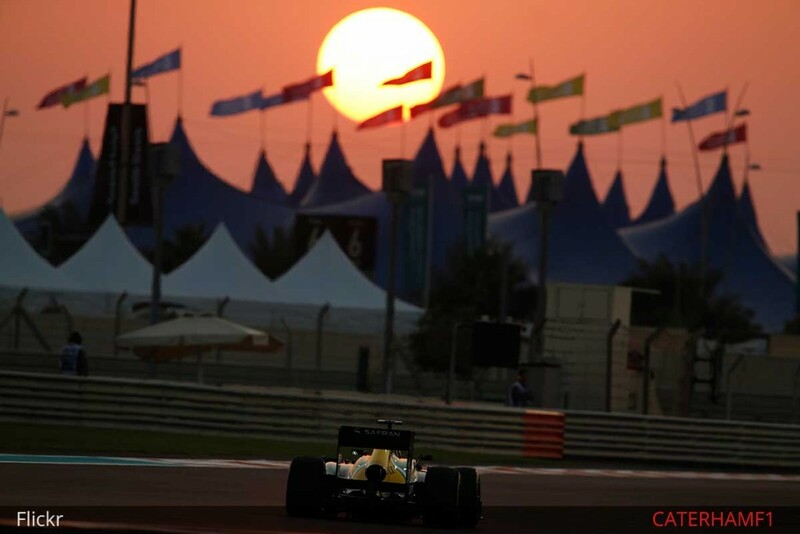 It will come as no surprise to learn the weather in Abu Dhabi is generally hot and sunny, being a desert and all, though when the race takes place (usually in November) temperatures are more moderate. It’s still a short sleeves and sandals trip but conditions are quite comfortable.